Could not ask for better. City will have three games against Spurs and away to United very close together aswel as tough away trips to Palace and Burnley. I'm still thinking about the league! No conspiracy to let City win everything. Their luck runs out at Schalke. We get Porto. Couldn’t be better. Liverpool v City final ? We’re good enough to beat Barca. Don’t give us this sh*t. We took care of Bayern. Have they improved in 12 months Diego mate? And - if so - as much as we have? You spout sh*te consistently lad. Drain me with your negativity. Spurs have certainly not been awful in the CL recently though, having beaten Inter, drawn at Camp Nou & turned Dortmund over twice. Well having that - get in. They've got a great team spirit and are a solid team, I really don't expect us to be demolishing them by 5-0 again at all, but nah, they're not really a better side than last season, the players are pretty much the same apart from some odd (not hugely significant) additions, like Pepe (the former Real Madrid CB, now a veteran) and Fernando Andrade (a virtually unknown who's been decent for them). In the league, they're actually faring worse. They were Portuguese champions last season, while this one they're currently 2nd (level on points with Benfica, who lead on GD). So I'm fairly confident of another comfortable win, just not another 5-0 trashing, for they're a solid team. Good draw for us, will be fun on our way to the final. And what makes you happy? Liverpool going out with a trashing by Barca? Just say it. You have the right to an opinion. I will take that with the added bonus of Suarez and Messi tearing up the Mancs. Your dead right about the Messi v Ronaldo showpiece dream that UEFA want. No surprise to me that's how the draw went. 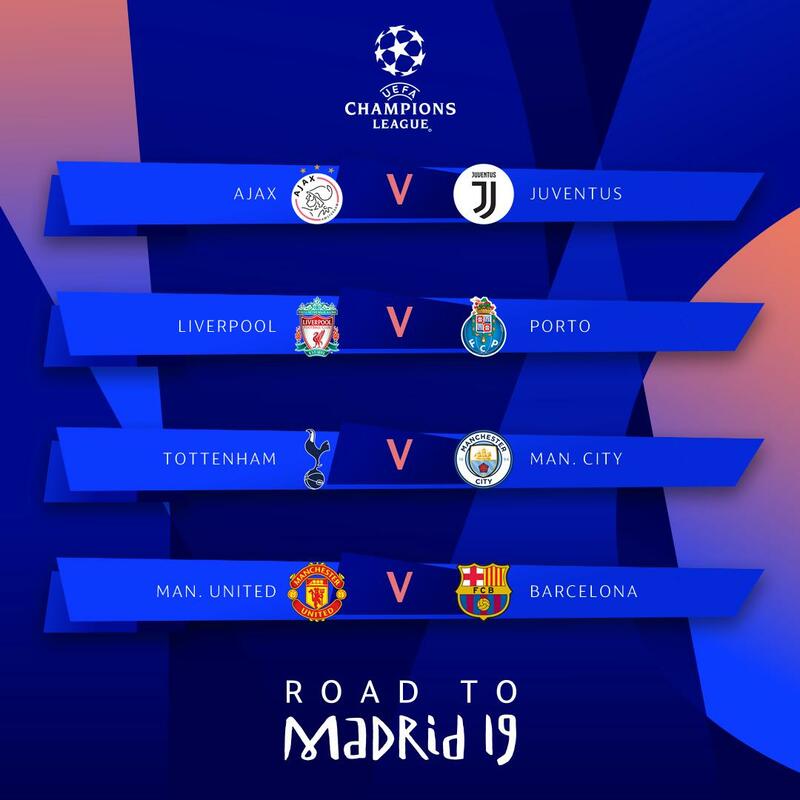 We will need to be clean as can be in the QF and SF as the refs will have been given instructions to make sure the road is clear for Barca and Juve. According to the fixtures, we play Chelsea on Sunday 14th & Porto away Tuesday 16th! One day rest!! That'll be tough if it isn't changed. Coutinho is gonna envy the reception we give for Suarez! Brilliant draw tbh. We play Chelsea either side of Porto and Newcastle either side of Barca. Oi Madrid, June 1 eh?! Nah, it'll be Sat-Tue or Sun-Wed, surely. Porto will be fired up no doubt after last season, but you can't grumble at that draw. Bayern Munich was a tough last 16 draw in my view considering they'd got to the quarters for each of the last 7 years. Man City have had some f**king luck in all of their competitions though. Have they played a decent team in any competition? And second leg at home again? Amazing how well oil money goes down with the football authorities! Would have preferred Ajax as we had Porto last season, but this is pretty good.